“That’s just the whim of the regeneration process. But I can do plenty of accents. And five billion languages.” He grinned widely and spoke to Wyn in fluent Welsh then several other languages. Then he looked at Jasmin and recited several lines of Arabic love poetry. She gasped in surprise. “But… Are YOU an alien?” Alec asked her. The three Humans exchanged glances. He knew from their smiles what the answer was going to be. Then again, he knew fifteen minutes ago. He had never even bothered to set the course for Manchester. Jasmin and Alec nodded. They weren’t sure what else to say or do. “Where are we?” Wyn asked him. “Don’t know,” he replied with a wicked grin. “It’s not Earth. It’s not the 21st century. That’s all we need to know. Mystery tour! The best way to explore. Your mum LOVED getting lost with me.” He grabbed his long coat from the railing by the command chair and slipped it on. Everyone else took their cue from him and did the same. “Course you do,” he said. “But look….” He took hold of Wyn’s arm and nodded towards her two friends as they stepped out of the TARDIS and the impact of the occasion fully hit them. They clung to each other as they looked up at a pale red-yellow sky with two suns shining in it, one small and yellow, the other large and red. Their eyes turned from the sky to the trees, which were green-leafed as their senses said they ought to be, but three times as big as any trees they had ever seen before, rising dizzily into the sky. From there they looked at the mountains in the distance, and they, too, looked bigger than anything they had seen before, though mountains could be deceptive. And that was before they saw the city. It was entirely made of white crystal, like a city-shaped iced cake, rising up at the place where a placid river meandered through the bottom of a deep valley. From where they were, on the side of the hill, they were above the city, and they could see streets and plazas, parks and open spaces, and spires of buildings that might be churches or public buildings. “Wow!” Jasmin said. The Doctor smiled. Wyn did too. It was a big thing, the first time on a new planet. She was a year younger than Alec and Jasmin but at that moment she felt five years older and infinitely more experienced. She found herself reminiscing about the first time she set foot on another world than her own. “To visit Earth?” Jasmin looked at him then and he knew what she was thinking. Of all the planets in the universe, why get excited about EARTH? “Because his mother came from Earth,” Wyn said, knowing the answer instinctively. They all laughed, as he meant them to. They didn’t notice him look up at the sky again and sigh. Yes, he had travelled among the stars from the earliest age. Born among them, and doomed to die among them, the homeless wanderer. Then he deliberately arranged his smile as he reached out his hands to Wyn and Jasmin. Alec took his girlfriend’s other hand. He thought of a cultural allusion that seemed to fit. “Follow the yellow brick road?” he said. The road wasn’t yellow, and it wasn’t made of brick, but when they reached the city below it had that same feel about it. The Doctor made a low sound in his throat that indicated impatience. “Wow, I’m an alien,” Alec amended. The Doctor smiled wryly. He was entitled to feel a little overawed at the idea. He tried to remember if he ever felt the sort of rapture his companions got out of visiting new places. He must have once. Once he had set out with no other motive in mind but to visit new places and find out about them. When did he lose the enthusiasm? When did he start experiencing the ‘first time on a new planet’ by proxy through the people he travelled with? He needed some of that enthusiasm back. “Yeah, fab, fabulous, fablozi….” He stopped. Making up daft words to express how he felt only worked if he FELT that way. And that was the truth, anyway. It WAS good to have somebody who cared if he was happy or not. He shook off his brooding moment and looked about at the crystal city. “They’re not all… indigenous population,” Jasmin observed. The Doctor smiled at her attempt at the political correctness he had imposed on them. And she was right. The vast majority of the people were a sort of short humanoid – average about five foot four for the males, a little shorter for the females - with pale blue faces and dark blue hair. They all dressed in a sort of uniform of blue boiler suits. They all had a ‘busy’ look on their faces as if they had tasks to be completed and no time to chat. And then there were the Humans in the sense his human friends would recognise. Human, of course, as opposed to humanoid, was a precise term meaning somebody who in some part of their ancestry came from Earth. But it tended to get used loosely for any species with one head, two arms and two legs and skin colour in the pale pink to dark brown ranges. In fact, there were many races with the same outward characteristics that were not Human at all. He should know. He was one of them. Humans tended to think they WERE the dominant species in the universe. But only for the same reasons that British people in the 19th century thought they were. Humans had done a lot of conquering and colonising, supplanting indigenous cultures much as Australia and New Zealand were colonised and supplanted. In space they were a little less aggressive about it, he had to concede. They usually colonised empty planets. But where there was an indigenous population that they settled peacefully among it always seemed, after a few years, that they had become the dominant species. And that, he thought, even at his first glance, was what had happened here. The blue people with their uniformity and their workaday business, were the ‘indigenous’ population. The humans were the ruling class. There were no motorised vehicles of any kind within the city, which made it a nice, unpolluted place. The more well-to-do Humans travelled in carriages pulled by rather beautiful creatures that looked like horses except that they had fine golden feathers instead of hair. Needless to say the horse-creatures were driven by a little blue person. But the carriages, open to the air, had humans relaxing in them as they were brought to their leisurely destinations. Even those Humans who walked did so on a different level to the blue people. The pavements of the wide, airy streets of the city had two levels. There was no more than the thickness of a brick between them in height, but it was quite clear that Humans walked on the higher, inner pavement, again at a leisurely pace, and the blue people walked on the lower one. When a Human needed to cross the road, the blue people all stopped to make way, but when a blue person needed to get into one of the shops or offices, crossing the high path they had to wait until it was clear and dart quickly. Impeding the walk of a Human was clearly something socially unacceptable. “Do these people look like they have equal facilities?” Alec asked. He looked around. One of the buildings on the opposite side of the road had a sign on it that declared it to be The Academy of Learning. It had a beautiful ‘classical’ portico and looked bright and airy, the sort of place where he almost expected the learning to go on while the students lounged on sofas eating grapes. Next to it was a smaller building, still rather stylish, because this was a stylish city, but the sign simply said ‘Training Institute’. There were other clues, too, to the social segregation. As they walked upon the higher pavement they came across two buildings side by side that were obviously cafes. In one, the blue people ate and drank quickly, in what was obviously a brief meal break. The self service line moved quickly and as soon as anyone finished eating they got up and their place was taken by another. In the other, Humans sat and leisurely drank coffee and ate beautifully prepared meals brought to their table by blue people in neat waitressing overalls. The Doctor pushed open the door to the Human café. Air-conditioning kept it nicely cool and fragrant and soft music and a low buzz of lazy conversation enveloped them as they stepped inside. They found seats and sat down. A waitress quickly came to them and took their order for coffee and sandwiches. Alec tried to engage her in conversation about, of all things, the weather, but she did not respond. “I don’t think they’re allowed to talk to us,” Jasmin said when the waitress went to get their order. She was willing to bet that the kitchens were full of blue people, too. There was a Human in a dark suit watching over the staff as they worked. Alec reached and picked up a newspaper from a rack near their table. He started to read the headlines. “I bet there are no blue candidates,” Jasmin commented. “I bet they don’t have a vote,” Wyn remarked. Wyn giggled at the absurdity of such a requirement. But Alec was still reading. “Why can’t they register by post, or why can’t the registrars come around to where they work and let them do it there?” Wyn asked. “And the day after tomorrow there will be an article in the papers about low turnout and voter apathy among the Calcadians,” Alec added. “You got it,” The Doctor said with a smile. Humans when they were thinking were fascinating creatures, he thought. He sat back and let them work it out for themselves while he gave his attention to the waitress who returned with their order. He smiled warmly at her and tried to open a perfectly innocent conversation but she just lowered her head and tried not to make eye contact with him. When she did momentarily her cheeks turned a rather deeper blue that he realised was a blush. He wondered why he should have such an effect on her. He didn’t think his sexual magnetism was THAT impressive. He really wanted to get her to talk, but as soon as she had placed the coffee and sandwiches at their places at the table she scurried away. The manager’s beady eye on her probably didn’t help. The Doctor was aware of him watching her the whole time she was serving them. Or maybe it wasn’t her he was watching? As she returned to the kitchen The Doctor was aware that the manager had his eye on HIM. He looked towards him and he looked away quickly, which confirmed it. But WHY was he of such interest? “Does he stand a chance of winning?” Wyn asked. 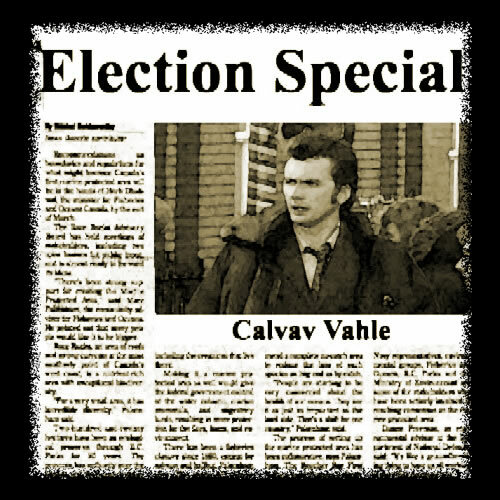 “Well, I’d vote for him!” Alec turned the page and stared in surprise at what he saw there. He looked around the café and realised something that he had only been half aware of before. People at the other table had been looking their way almost the whole time and the conversation levels were quite animated. “THIS is Vahle,” he said, folding back the paper and turning it so that they could all see the fourth page. Under a banner headline “The Candidates” were two photographs. Dahrlle Pocht was a powerful looking man with broad shoulders and a look, even in the still photo in a newspaper, of a man who had won three elections in a row and who thought himself secure in his position. But Vahle was the fresh faced young opposition whose new ideas would sweep away the old order. And he looked like The Doctor! “Wow!” he said. “What are the chances of that.” He looked at the picture of Pocht and grinned. “At least I’m the good guy!” he said. And they did. The Doctor stepped out onto the pavement and looked at it. Then he did something nobody expected. He stepped from the higher pavement to the lower one and matched his step with that of the briskly walking, busy and anxious Calcadians. He looked back at his friends meaningfully and called out something that puzzled them at first. Then they joined him in the path walked by the downtrodden masses of Calcadia. The planet WAS called Calcadia, The Doctor mused. This city was called Calcadia City. The blue people WERE the indigenous population. But the Humans ruled the roost. Their rebellion against the segregation had two effects. First, the Humans on the higher pavement looked at them as if they had gone mad. And secondly, the Calcadians all stopped in their tracks to let the Humans go by. Not exactly what he had in mind. He had hoped to walk with them, among them. But their subservience was so ingrained all he had done was make them feel that even their own territory wasn’t their own. “Segregation is ended when people refuse to be segregated one way or the other,” The Doctor told them. Although he had to admit the idea wasn’t catching on here, yet. “They seem too used to their slavery to realise they can do something about it,” Alec added. And his spark was starting to light – The Doctor tried to avoid the metaphor but it came too readily to mind – the BLUE touchpaper. They saw it when they reached the registration office. There, both pavements and most of the road as well were blocked by a mass of clamouring Calcadians, trying to get into the building. A much smaller group trickled slowly out of the exit doors and hurried away with their voting cards clutched in their hands. The Doctor and his companions watched quietly at first, noting that the Calcadians were doing their best to respect each other. There was no sense of anyone trying to jump the queue. They recognised each other as being in the same boat. But they were being pushed by time. A clock tower rose up above the public building that was taking the registrations and its hands said it was nearly fourteen o’clock, the end of the one hour lunch break of most Calcadians, and these were a good half hour away from even getting into the building, let alone up the staircase where the queue continued. “Hey, it’s you,” Wyn said, pointing to a videoscreen fixed to the wall that was displaying a party political broadcast by the challenging candidate. His voice repeating his aims for a better and more equal Calcadia were adding to the noise. The Doctor carefully tuned out all the other sounds around him and listened to the voice of his doppelganger encouraging the franchiseless to become enfranchised by registering to vote. He had a very different accent to his own, he noticed - what would be considered an ‘educated’ accent. But that was ok, he thought. Accents were as arbitrary as faces for Time Lords. He was no more a Cockney than his previous incarnation was a Mancunian, and both of them, along with the five billion languages, could do whatever accent they chose. He quietly mouthed a few of those phrases from the video and thought he about had it. The city hall clock struck 14 o’clock. The Calcadians looked at it. Some of them turned and hurried away, knowing their time had run out, but many more stuck around defiantly. And they were there, still, when the police arrived, a containment unit riding heavyset versions of those horse creatures they had seen used as a leisurely form of transport for the better off Humans. They had long whips and they cracked them menacingly as the most senior officer raised something that looked like a megaphone to his lips. A few Calcadians moved off, quickly, frightened by the voice of authority, but many more stayed put. The Doctor watched them face up to their oppressors bravely. This was the spark, indeed. He had seen it in a thousand places, a thousand times. The Thals, finally making the effort to fight back against the Daleks, that chap Spartacus, a whole bunch of Irish in just about any century you chose, the Thals again, the Humans of Earth in 2164 who fought against the Daleks, those Freedom Riders of the Deep South. Revolutions started small, usually with one brave soul saying ‘no’. And here were several hundred Calcadians saying no. He came from one of the few planets that had never had a revolution. He put it down to his lot being too stuck in their ways and short of imagination. Challenging the order of things just didn’t happen. But then, for the most part, their order wasn’t so bad. The Time Lords were arrogant and superior, but they weren’t oppressors. And they WERE a force for good when they stood up to BE a force of any kind. And they had fought the worst oppressors in the universe – the Daleks – to their last dying breath. Even so, his upbringing and background should have put him on the side of the status quo, ready to crush rebellion and prevent the established order from being upset. That he sided with the rebels, that he was with them 100%, actually made him a unique Time Lord even before he became the ONLY Time Lord. He sometimes wondered where that seditious streak came from. It had been said that his old school, the Prydonian Academy, had produced some of the most notorious Renegades in the history of Gallifrey. If that hadn’t meant lumping him in with the likes of The Master and that dangerous lunatic Morbeus, he’d have been rather proud of that. He was a Renegade among Renegades even! He became one in order to do good, not evil. Not that it mattered to his masters on Gallifrey. A Renegade was a Renegade, regardless of motive. And now the Renegade Time Lord WAS the ONLY Time Lord and he STILL rebelled against what he saw to be wrong, and he was on the side of those who felt the same way. So when he saw the police captain raise his whip and aim it at the nearest group of recalcitrant Calcadians he didn’t hesitate. He was a blur as he folded time and stepped between the oppressed and their oppressor. The Police Captain screamed with rage as he felt the whip tugged from his hand. “Pick on somebody your own size,” The Doctor said in the carefully mimicked cadence of Calvav Vahle. He wondered briefly if this was something Vahle would do, and if not, would he be getting the man into trouble. But the fact that the Calcadians all made a respectful space around him, murmuring the name of “Vahle” as if he was their Messiah, let alone their political leader, seemed to suggest he wouldn’t be too displeased. Oh, an old fashioned bigot, The Doctor thought. How many of THOSE had he met in his life. Calc! Merely a shorthand for their species name, but used in a tone of voice that made it into a term of abuse. The universe was full of such terms used by men like this. “No!” he said. And that was the word that had launched a million rebellions, the bloody ones like the Thals against the Kaleds and the quiet ones such as Mrs Parks had begun. “No!” One of the shortest words in any language but loaded with such meaning. He stared at the police captain for a long, long moment. There was a near silence among the Calcadians. His Earth-born companions stood watching, their eyes moving from him to the captain and back again. If he backed down now…. If he backed down now, then Vahle would be seen as a coward and he and the Calcadians would be arrested anyway. But he had no intention of backing down. He wasn’t sure if Vahle would have done, but he, The Doctor, never backed down in front of bullies. Not since he was big enough to stand up to them. “Arrest them!” the captain screamed at his subordinates, and the horse-backed officers moved in. Unarmed civilians against armed police on horseback was an uneven fight. Only a few hours ago he had mentioned the Peterloo massacre. That had been soldiers on horseback riding down civilians. He wondered as a pitched battle raged around him if he SHOULD have backed down peacefully after all. But the Calcadians were not giving in easily. Yes, the Human police officers on horseback were formidable to them. But they had been pushed too far already and they saw The Doctor’s example. When a whip came down on the back of one of them, two others grabbed it and pulled, unseating the rider. It was an ugly scene, The Doctor thought as he sent as many of the policemen as possible into an uneasy sleep with a clever nip to the back of the neck he had learnt many incarnations ago. Calcadians with their oppressors on the ground proved not as meek as they might appear. The sturdy work shoes of a manual labourer could do damage to a Human head if stamped down with enough force. He didn’t want deaths on either side. And he really hadn’t wanted a show of defiance to turn into a running battle in the street. He couldn’t stop it. He was almost relieved when the authorities did. He looked up and saw the hover cars descending, loudhailers calling for everyone to raise their hands and not move. He might even have done so if he hadn’t been cracked around the head with the handle end of a whip. As he fell, more stars than even he wanted to see floating in front of his eyes, he realised it was a Calcadian, lashing out at any Human, regardless of which side they were on, who felled him. He woke several hours later. He knew instinctively it was several hours later. There was no point being a Lord of Time if he didn’t know in the fibre of his body that time was passing. And the fibre of his body was feeling pretty beat up about it. Of course his body mended rather quickly than Humans did. But it didn’t let him off easy. It ached afterwards. It ached a lot more than it should. He wondered if some of the police had put the boot in while he was unconscious. Since he had no bruises to show for it there wasn’t much point in complaining. “I’m…” The Doctor looked around and saw the face looking at him through the bars of the cell. It was his own face. Well, obviously not. This must be Calvav Vahle. “Certainly not, I’m a pacifist,” he said. “I can explain that, too, if you have all day. But let’s stick to the relevant matters.” He stood up and stepped towards the cell door. Vahle nodded to an officer who unlocked it. As The Doctor stepped out Vahle handed him a padded envelope that contained his sonic screwdriver, TARDIS key and assorted contents of his pockets. “Thank the stars you ARE!” Vahle whispered. “I wouldn’t like to have you as an enemy.” He didn’t know WHY he thought that. But some deep instinct told him that The Doctor was better to have fighting WITH him than AGAINST him. The Doctor nodded. What he said made sense. It also sounded very familiar. The history of the universe was full of men like Vahle, who sought peaceful, democratic reforms, while keeping a lid on a seething rebel movement at the same time. A man called Parnell jumped into The Doctor’s mind. In the 1880s he had almost had the ‘Irish Question’ sewn up by running political rings around the British Parliament. But that political clout was the respectable veneer on top of a revolutionary movement that was ready to blow up in everyone’s faces if democracy failed. Not here, The Doctor thought. Here, democracy was going to win. Vahle was going to be president and change would come. And nobody needed to die. “Oh %£$%#,” The Doctor exclaimed suddenly. “What’s wrong?” Vahle asked him. Why had he forgotten them for so long? “Somebody is coming for you, Wyn. I’ll see you soon,” he said. He closed the phone connection and turned to Vahle. Vahle stopped talking. He collapsed unconscious. The Doctor looked around just in time to see the driver fire the second tranquilizer dart at him. As he lost consciousness he heard the driver on his car radio addressing somebody as “Mr. President,” and telling him he was bringing in both Vahle AND a little extra bonus. The Doctor had told her somebody was coming for them, so when a flashy white car that looked like the space age version of a stretch limousine turned up and asked if they were ‘The Doctor’s friends’ Wyn didn’t question it. She just wondered how it was that The Doctor always landed on his feet. He wasn’t on his feet now she thought grimly as she looked at the two men who looked exactly like The Doctor, both of them unconscious. Both in their underwear. Not the same underwear, it had to be said. One was in the sort of thing they used to call Long Johns on Earth, the other in a white t-shirt and boxer shorts. Wyn wasn’t about to take a guess at what sort of underwear The Doctor usually wore. But she DID know how to tell a Time Lord from a Human. “This one only has one heart,” she said putting her hand over the chest of the one in the Long Johns. To be sure she moved over and did the same to the other man. Two hearts beat strongly beneath the t-shirt. She was relieved. He was safe. They were all together. Although safe was a moot point. They were all captured. She looked around at the door. It was a big one. The word dungeon came to mind. The barred window high in the opposite wall added to the image. “Why am I half naked?” The Doctor asked. Wyn turned and looked at him with relief. He sat up and looked around. He saw Vahle and went to his side. “Strong stuff they used to knock us out.” His internal body clock told him he had again been unconscious for several hours. The moonlight shining in through that barred window confirmed it. “Doing it now,” he said. “Hush a minute. I have to concentrate.” He put his hands either side of Vahle’s head and gently reached into his mind and body. The drug had almost dissipated now. But where with his Gallifreyan constitution it had just knocked him out for a few hours, in a Human it had a more drastic effect. It induced a coma that continued even after the drug itself was gone from his bloodstream. Very nasty and very convenient for the opposition tomorrow. Even if Vahle won the election if he didn’t turn up he would, doubtless, be ruled out and Pocht would win by default. What a simple plan! And it would have worked if they hadn’t decided that two unconscious Vahle’s was better than one. In a minute they wouldn’t even have ONE unconscious Vahle. He reached deep and found the lost mind. Gently he touched it. It was like waking a sleepwalker. He had to do it very carefully or he would send him into a mental shock that could drive him insane. Slowly, slowly he coaxed him a little closer to consciousness. He felt Vahle’s brain start to function at a higher level. He was dreaming now. Rather disturbing dreams, though that was not surprising. He tried not to look at them. They were his private business. But he couldn’t help seeing the one that became most vivid as he rose from the comatose state to something approaching normal unconsciousness. He was remembering being the Captain of that police precinct when a riot had broken out. Calcadians were protesting that their food rations had been cut. For some reason harvests were low that year and everyone was experiencing high prices and shortages of some staple foods, but only the Calcadians had been rationed and when the rations were further reduced something snapped. The police had been turned out, on horseback and in the hover cars. And they had been armed with more than just whips that time. He, Vahle, had not fired his weapon, but under orders from his own superiors, he had given the order to others that had resulted in 180 dead Calcadians, women and children among them. That had been the origin of the underground Calcadian movement he had spoken of. That had been the catalyst that had seen him leave the police force and work towards changing the system from within. The Doctor felt his remorse, his guilt for his part in that massacre as a deep, dark, almost solid core of Vahle’s consciousness. It was his driving force, and the reason why he wanted to change things democratically, without loss of life. “We have to get out of here first,” Jasmin said. She looked at The Doctor in amazement. She had thought both were dying. Now they were both conscious and apparently because The Doctor had willed Vahle awake. “Do you have any idea where we are?” The Doctor asked as he stood up and looked at the door. “What does looking stupid have to do with it?” The Doctor asked. He winked at his friends. “Remind me to tell you lot about the time I fought the leader of an invasion fleet hell bent on conquering Earth in a pair of borrowed pyjamas.” He looked at the door again and wondered where his sonic screwdriver was. “Even you can’t open it, can you?” Wyn said. Primitive people might call it witchcraft. And he wouldn’t blame them. That strange sect of Time Lords who took themselves off to a mountain top monastery and meditated for days on end without even getting pins and needles in their legs called it something that had no translation from High Gallifreyan. An approximate Earth equivalent was mind over matter. Those who could do it had power over any substance. They could concentrate on a piece of coal and make it compress itself until it became a completely different form of carbon – a diamond. They could remind a steel girder of when it was being made and turn it to molten metal. If they were really good they could remind a rock of when it was lava. And he could reach deep into the heart of this wooden door and remind it that it was once a tree. The level of mental force it took could never be used on anything with a brain. It would fry them. If he wasn’t careful it could rebound and fry his own brain. VERY few Time Lords ever achieved this level of ability. He had done it maybe three times in his entire life. And the effects on his own body had been so extreme he had tended to look for an easier solution most times since. Something hit him on the head as he swayed dizzily and reached for a handhold. Several things in fact. A shower of plaster and then something round and hard. He caught it and stared. It was an acorn. Or something very like it anyway. He looked up. Everyone else was already looking up - at the oak tree that rose up through several floors of the building. “It went wrong,” he murmured. Alec, Wyn and Vahle couldn’t even manage to say that much. “You….” Wyn ran to him and hugged him. He was glad she did, because he thought he might have fallen over otherwise. He felt as weak as a kitten. But at least he was still conscious this time. And it WAS a damn good tree. “It's blocking the way even more than the DOOR did,” Alec pointed out. She was right, The Doctor thought. But he wasn’t sure he could do it. He WAS mentally and physically exhausted. It was slow going. Wyn was the only one who had climbed a tree in the past couple of years. Alec gave that up when he was about twelve, Vahle likewise. Jasmin had NEVER done anything of the sort. Her parents had not exactly brought her up in strict Muslim tradition, but they had expected her to be ladylike. She had done needlework and piano and reading while her brothers played outside and did things like tree-climbing. Breaking that mould took an effort on her part. But The Doctor seemed to be struggling nearly as much as she was. He did come up level with her at one point, but then he faltered. His hand shook as he grasped the branch above and he had no energy to pull himself up. She reached out her hand to steady him. “Not like this.” He looked up at the rest of his friends. Vahle was almost up through the ceiling into the room above. “Humans… even when they are exhausted… carry on when they have to. That’s why they’re so fantastic. I can’t let them down.” He found the strength within him to carry on climbing. Jasmin kept pace with him. They both came up into the room above together. It was a storeroom, with no window. Somebody had used their initiative and switched on the light before they rested among the stacks of paper and printer ink cartridges and spare computer monitors and the like. He turned to the door but there wasn’t one. There was a great big tree in the way. He looked up to see it growing through the next ceiling. His hearts sank. “Five minutes,” he said. “Catch our breath, and then we go on.” He used the five minutes to put himself into a slow meditative trance. It was neither deep enough nor long enough to fully recharge his body, but when he brought himself back he at least felt capable of climbing the next section of tree. He took the lead this time. They were in hostile territory, after all, and he couldn’t in all conscience send any of the others into danger ahead of him. This time they came out into an office - Dahrlle Pocht’s office. He knew that because Dahrlle Pocht was lying unconscious on the floor. He looked as if he had been whacked in the head by a sudden and unexpected tree. The Doctor pulled himself up and bent to examine him as the others climbed up after him. “Is he ok?” Vahle asked. “Very strange,” Vahle finished the sentence as he knelt beside The Doctor and looked at Pocht’s arm. The Doctor pushed his sleeve up further and they both looked at the distinctly blue mottling on his skin. He looked at the man’s feet and noted his boots had thick heels that would add at least two inches to his height – which he reckoned was no more than about five foot seven otherwise. Short for a Human male, tall for a Calcadian. Then he looked at his face. He turned and asked Wyn if she had a tissue on her. She didn’t but Jasmin produced a travel pack of wet wipes from her pocket. The Doctor used one of them to wipe Pocht’s face. What was clearly very well applied make up came off to reveal a complexion that was mottled with blue. “Is it possible?” The Doctor asked him. “It’s not unknown,” he replied. “Doctor,” Alec said. “Your clothes and your other stuff.” He looked around and sighed with relief when he saw his clothes, and Vahle’s, and more importantly his sonic screwdriver and TARDIS key on Pocht’s desk where he must have been examining them for clues to who he was. Jasmin and Wyn both thought it necessary to turn away as they were dressing, even though they were putting things ON and not removing anything else. But he and Vahle BOTH felt a lot better for being clothed. And he was VERY glad to get his sonic screwdriver back. He had other plans for it in a minute, but right now he adjusted it to the setting that could wake up unconscious people. Pocht jerked awake and stared at Vahle and The Doctor as they hauled him to his feet and pushed him down onto a chair. “I am Human,” he insisted, though the lie was obvious to anyone who looked at his face, cleaned of the make up that gave him a Human complexion. The Doctor glanced at Alec and Jasmin as they clutched hands. And he thought of his own childhood as a half-blood whose differences were only too obvious to those who hated what he was. Neither on Earth nor on Gallifrey, though, had he ever met anyone who despised himself for being of mixed parentage. He had been made to cry for it too often, but he had never regretted his Human mother, and he hoped that for all the problems they might have, Alec and Jasmin’s children, in the fullness of time, would have no such trouble either. He almost felt sorry for Pocht. He wished he could have met him twenty or thirty years back and stopped him being so bitter and twisted. But it was too late now. He could see the man’s soul. It was so badly poisoned by his own self-loathing there was no road back for him. “What now?” Wyn asked. “We can’t let him win the election.” They glanced at the window. It was some time past dawn now. In a few hours the polls ought to be opened. But if the message had gone out that the only other candidate was dead…. “How do we get out of here?” Wyn asked. This room, too, was blocked by a large tree growing through it. She wondered if it had actually stopped. Visions of it reaching the clouds like the Beanstalk drifted through her mind. She laughed at the thought. The Doctor caught the tail end of that thought and laughed, too. He looked at his TARDIS key, but that was no use. The TARDIS was a hundred and ninety kilometres away near the city. He stepped out first, followed by Wyn and Jasmin, then Vahle and Alec between them pushed Pocht along to follow them. “How many people in the building?” he asked Pocht as he applied his sleep-inducing pinch to the chauffer and secretary. “Half a century?” Vahle looked at him but decided the question was unimportant. Apart from Pocht he was the only local in their strange group. He got into the driver’s seat of the limousine. Pocht sat between Wyn and Alec, while The Doctor and Jasmin sat opposite him. “Do you expect me to stand down from the election?” Pocht asked as the car sped towards the city. “Given that you ought to face criminal charges for kidnapping I think that’s fair enough,” The Doctor told him. Pocht scowled. The Doctor sighed. Time for some psychology. “When you were unconscious on account of my rather magnificent tree – Wyn, did you notice how lovely it looked spreading its branches over the roof of the house, by the way?” Wyn grinned and said it looked great. Not quite Jack’s beanstalk, but getting there. “When you were unconscious,” he continued. “I put a chip in your head. All I have to do to make your brain explode is turn this….” He raised his sonic screwdriver and made it light up harmlessly in ‘penlight’ mode. Pocht got the message. He could see the faces of Wyn, Alec and Jasmin trying to work out if he was telling the truth. Of course he wasn’t. Such devices were illegal under about eighteen different pan-galactic treaties, several of which he himself drafted. But lying about them wasn’t against any law he knew of and it settled Pocht down for the rest of the journey to the TV station. As they drew closer The Doctor took out the black-rimmed retro looking glasses he sometimes wore for no reason his friends could ever understand and put them on. He reached into the front of the car and found a spare cap worn by the chauffer and wore that, too, though at a jaunty angle. Might be useful to have only ONE Calvav Vahle when they walked into the reception, he thought. Vahle and Pocht made the broadcast together. Vahle offered no explanations as to how “Rumours of his death had been so greatly exaggerated” to misquote one of The Doctor’s favourite old friends. He simply told people that the election was still on and that the polling stations would be open shortly and wished his opponent the best of luck. With a little less grace but no choice, Pocht said he was relieved to see his political rival alive and well. He didn’t wish him luck, but nobody noticed. After that, the day passed swiftly enough. They travelled to polling stations around the city, where Vahle and Pocht were photographed seeing that the elections were fair and free and above board. Finally, when the polling stations closed they all came to the city hall where the vote would be announced in a relatively short time. “I feel nervous for him,” Wyn said as she sat with Alec and Jasmin in the front row of the auditorium and waited with the supporters of both sides. The Doctor was still with the two candidates. Lest Pocht feel he was free to pull any double crosses he occasionally brought out his sonic screwdriver and twiddled with it. Vahle looked strained and tired – he’d had a rough night, after all – but quietly confident. Pocht didn’t look confident at all. He looked a worried man. Wyn wondered if the make up he used was waterproof, because if he sweated any more his secret might come out anyway. Wyn wondered if The Doctor deliberately brought them here to teach them that lesson. But he really didn’t seem to know anything about this planet when they arrived. The hall fell silent. A man stepped up to the microphone and adjusted his glasses. He read the results of the presidential election. There was a silence for a half a second that seemed longer, then Vahle’s people broke into applause and cheering. He had polled nearly twice as many votes as his opponent. Even the Calcadians who were there as waitresses and cloakroom attendants were jubilant. Vahle stepped forward to speak. There was silence again as the crowd waited to hear what he had to say. For a moment he said nothing. He seemed to look around the room, then he focussed on Wyn as she sat there in the front row. He winked at her. She opened her mouth in surprise and looked at the man in the glasses and chauffeur’s hat who stood at the back of the stage among the crowd of campaign supporters. Then a shot rang out. Those quick enough to turn saw the movement in the upper balcony. Shouts went up and the man with the gun was apprehended. But on the stage Calvav Vahle, the newly elected president, was in trouble. As he fell, a bullet hole in his chest starting to ooze blood, several people ran to him, but none were as fast as the small, tomboyish girl who leapt up onto the stage from the front row. She held him around the shoulders as people cried and screamed that the President was dead. “No, he isn’t,” said Vahle’s voice and he swept the hat and glasses from his face as he stepped forward. 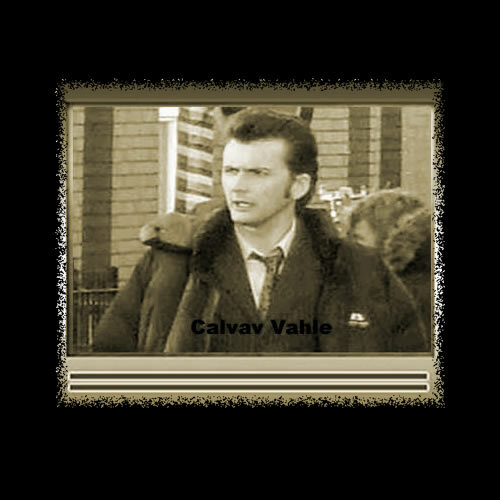 “I’m Calvav Vahle. THAT is a very brave man who suspected something like this might happen. And HE….” He pointed at Dahrlle Pocht. “He is responsible. Arrest him!” Two police officers stepped forwards and grabbed Pocht. Meanwhile somebody found a stretcher and lifted The Doctor onto it. Wyn ran alongside them. Jasmin and Alec followed behind with Vahle as they came into a quiet room at the back of the auditorium which had, for reasons Vahle didn’t understand, a blue box with the words “Police Public Call Box” on it. “I think he IS dead,” Jasmin sobbed as she opened his shirt and gulped at the amount of blood there was. She was too distraught even to notice it was a strange colour for blood – a sort of orange rather than red. All she knew was that he had been shot in the heart and even if she HAD finished her medical studies as he had joked earlier, she doubted there was anything she could do. Somebody found a first aid kit and she pressed a lint gauze against the wound, but what more could she do? “There’s an ambulance on the way,” Vahle said. “Would YOU?” The Doctor asked. As he stepped out into the auditorium to address his people, Vahle wondered why The Doctor had said goodbye. He didn’t look as badly hurt as he ought to have been, but he didn’t look like he was going anywhere fast either. But when he finally left the stage two hours later, The Doctor and his friends were gone. And so was the odd looking blue box.